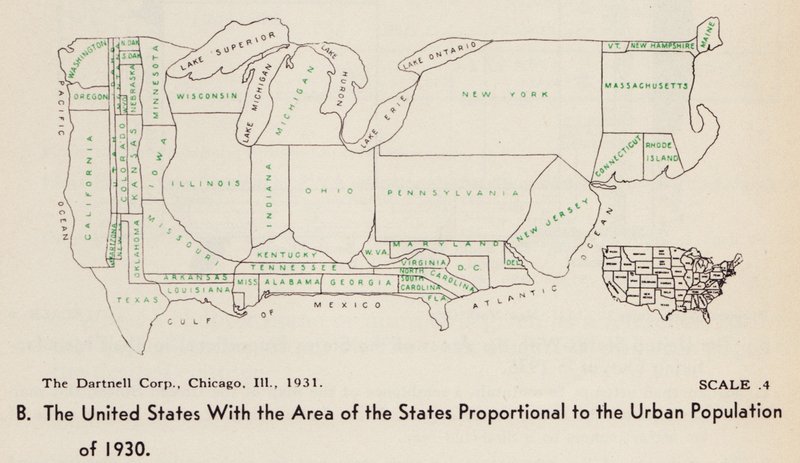 A cartogram scales geographic areas to some value other than geographic area. 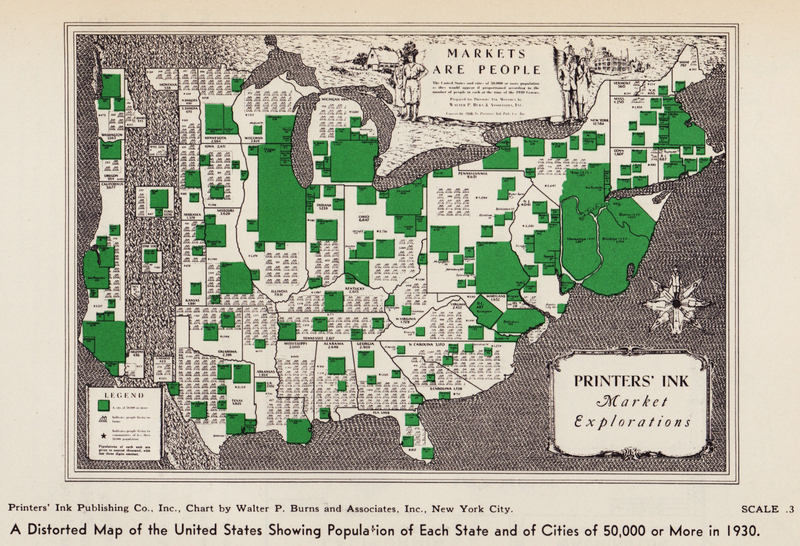 In two previous blog posts, 1911 Cartogram: “Apportionment Map” and 1923 Patented Cartogram, a few old-school cartograms were resurrected from musty old publications. 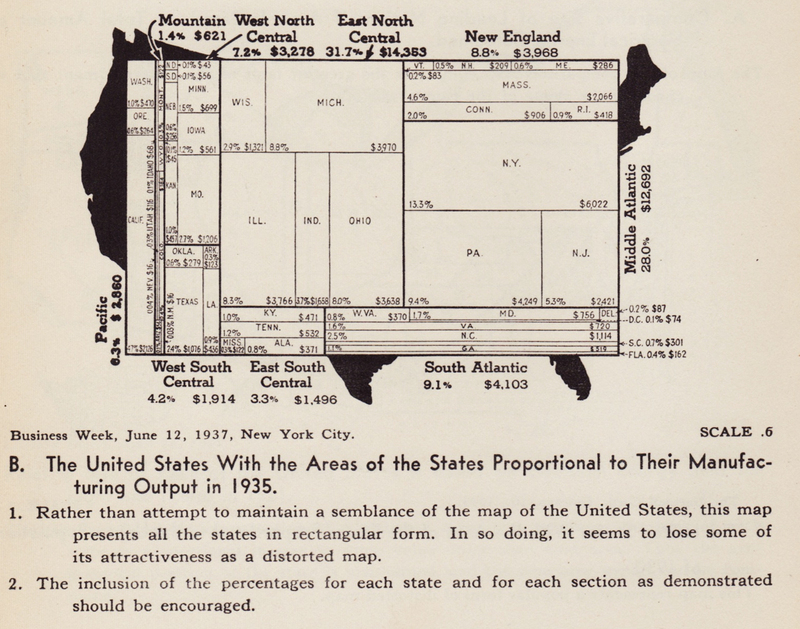 Here find eight more cartograms published between 1921 and 1938. 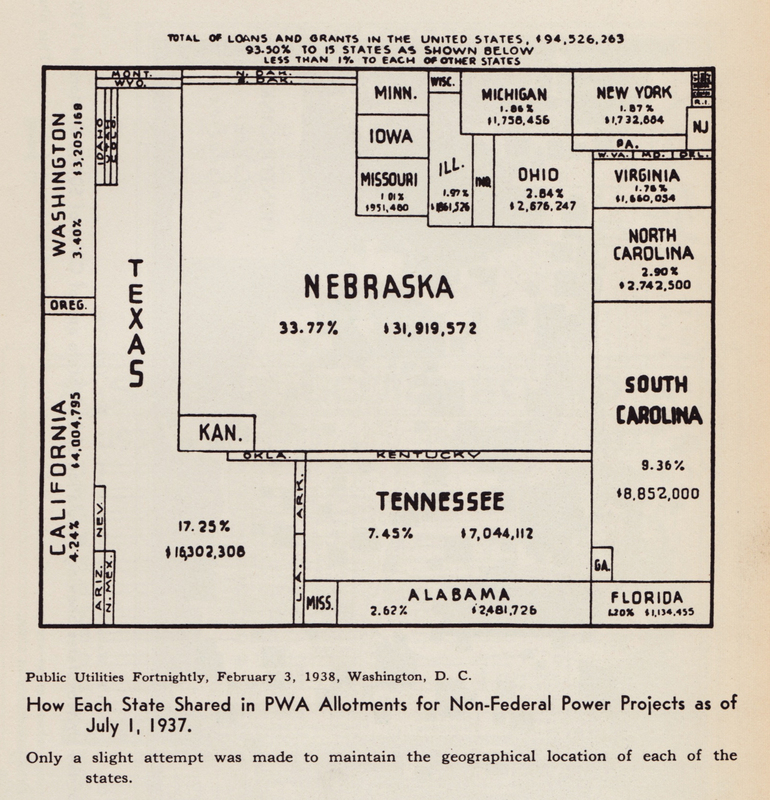 This post opens with a peculiar item – the U.S. states as well as the areas of major cities are scaled to population, in essence two cartograms together. Symbols representing “people living on farms” are scattered about, each symbol equal to a number (undisclosed) of persons. Weird. 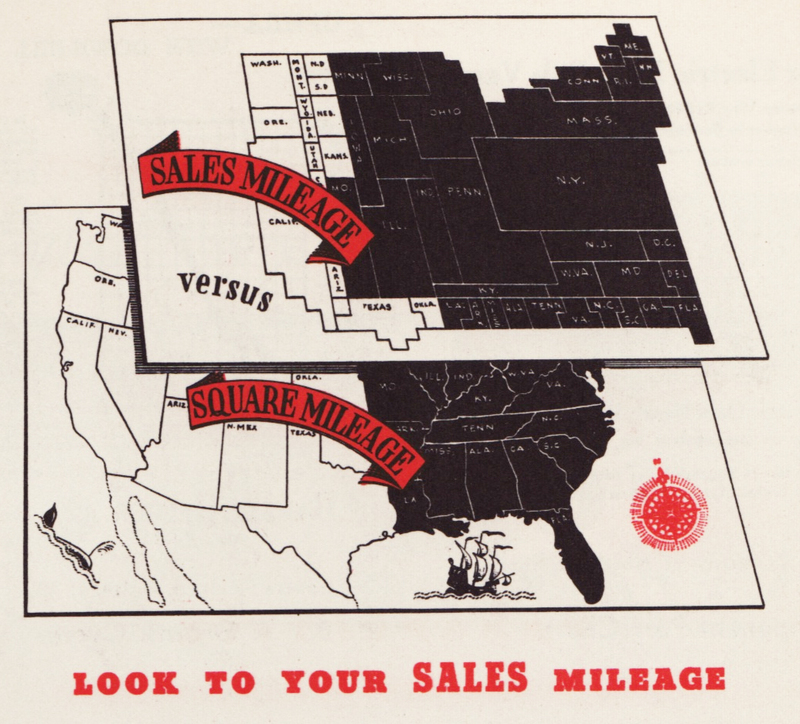 Cartogram, date unknown (1930s): “Look to Your Sales Mileage” advertisement (The Mutual Broadcasting System). 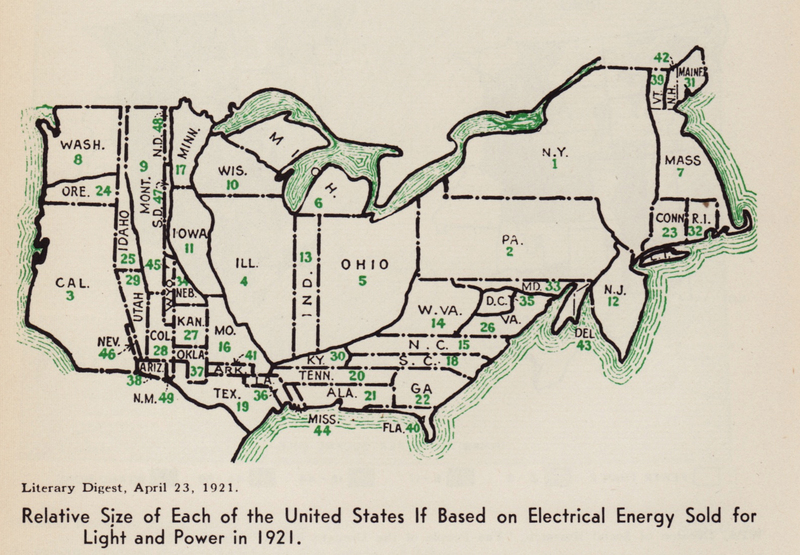 Reproduced from Willard C. Brinton’s Graphic Presentation (1939). 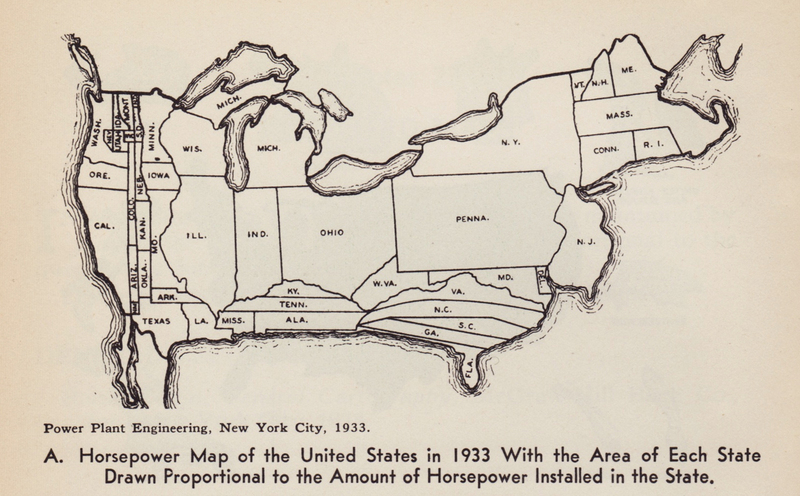 The map you are referring to was taken from Willard Brinton’s Graphic Presentation (1939). It is on page 239 of that book. 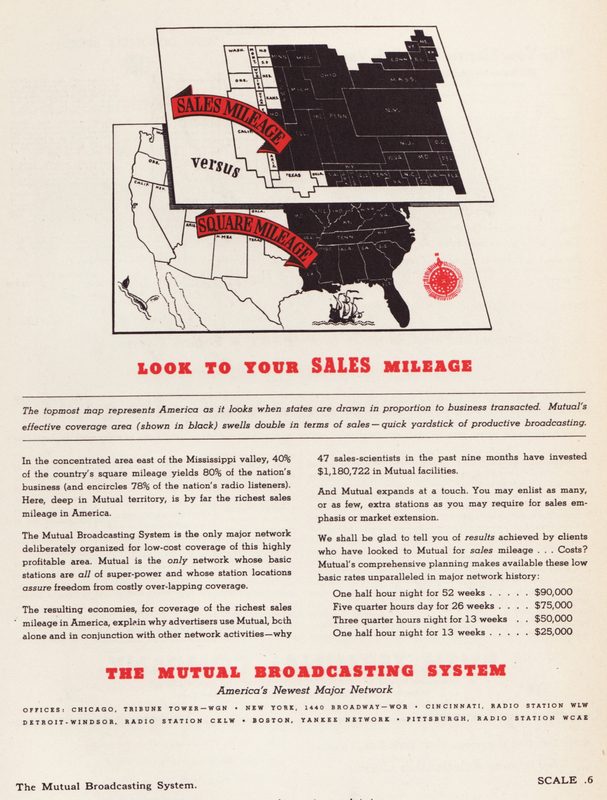 I believe the Dartnell Corporation at the URL below is the one from the scan on the blog.